Lots of credit has to go to Classified. The Canadian rapper who just released his new album Handshakes and Middle Fingers, is one of the most positive forces in hip hop. Lyrically, Classified is always For instance, when he raps about sleeping with girls, he's referring to helping his daughters get to sleep rather than boasting about strippers and hoes. The album kicks off with "Intro- Ups and Downs", a self-aware reflection on success and it's relation to everyday life. "That Ain't Classy" is his ultimate statement, making a strong and admirable declaration of what he stands for. He also wears his Canadianness on his sleeve, even using the theme from CBC's Danger Bay in the song of the same name (we'll overlook the hamfisted news clips included at the end). 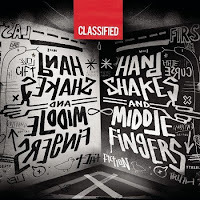 The music also that separates Classified from his peers. He's not content to rely on retread beats. Instead the songs are dynamic, often weaving in jazz, R&B and island breeze influences. Not everything's a winner. "Stay Cool", for example, sounds a little too much like a smooth '70s AM radio R&B number. "High Maintenance" is unexceptional both lyrically and beat-wise. I've never been a huge fan of hip hop as a genre. 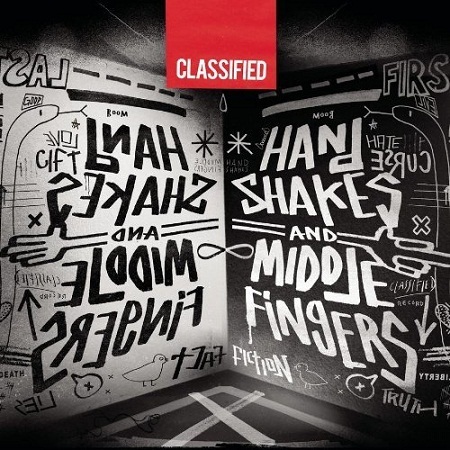 If there were more artists like Classified though, that might change. Best tracks: "That Ain't Classy", "The Hangover"